Free-floating arm with clamp for accurate scissors sharpening. Make them sharper than new! The Twice As Sharp is perfect for sharpening general purpose household and industrial scissors and shears. Includes instruction manual and training DVD. 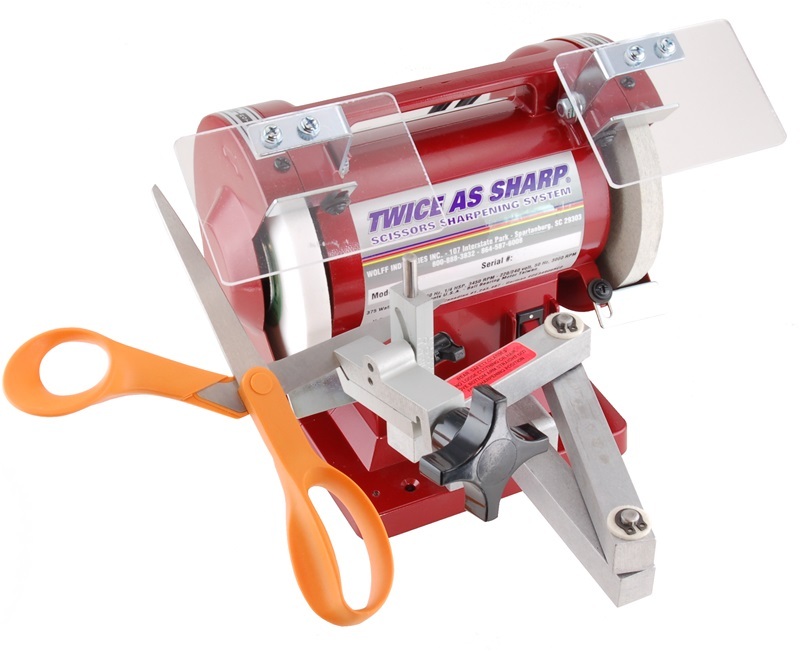 The Twice As Sharp Scissors and Shears Sharpener is designed for the professional sharpener. 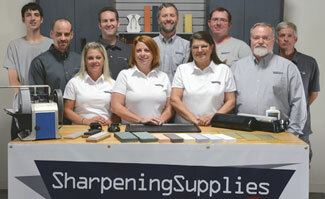 This sharpener will make sharpening your customer’s shears fast, easy, and precise. The professional system comes equipped with a 100 grit sharpening wheel so you can sharpen the shears your customers entrusts to you quickly, and a 400 grit honing wheel designed to enhance the shear so it will be sharper than when it was brand new! The Twice As Sharp can be set to match all possible angles on any household or industrial scissors up to 14 inches in length. The parts and accessories for the Twice As Sharp Scissors Sharpening System are fully interchangeable with the Foley-Belsaw Model 327. Other accessories and wheels are available wheels and accessories for the Twice As Sharp Scissors and Shears Sharpeners. See our Full List of Accessories and Wheels.